Iori is a beautiful Kyoto machiya (traditional guesthouse), offering traditional art courses and art-related activities. 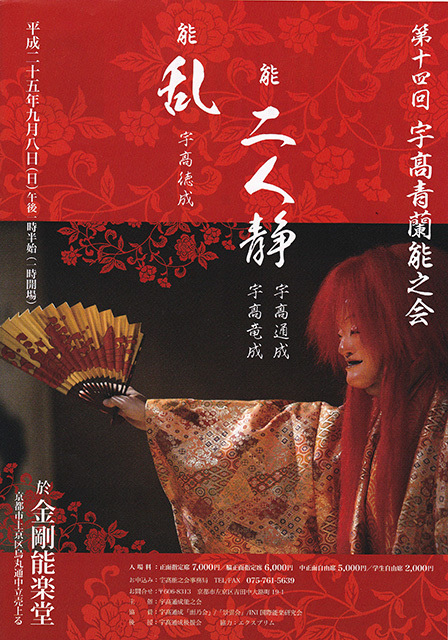 In this clip Noh actor Udaka Tatsushige (son of my teacher, Udaka Michishige) is performing the shimai from the Noh Yuki (‘Snow’), a play that is exclusive to the Kongō school repertoire. In the Noh Yuki, a priest on his way to the Tennō-ji temple is caught in a snowstorm when he encounters a mysterious woman, who in reality is the spirit of snow. After reading a sutra, the woman dances as she disappears in a whirlwind of snow. 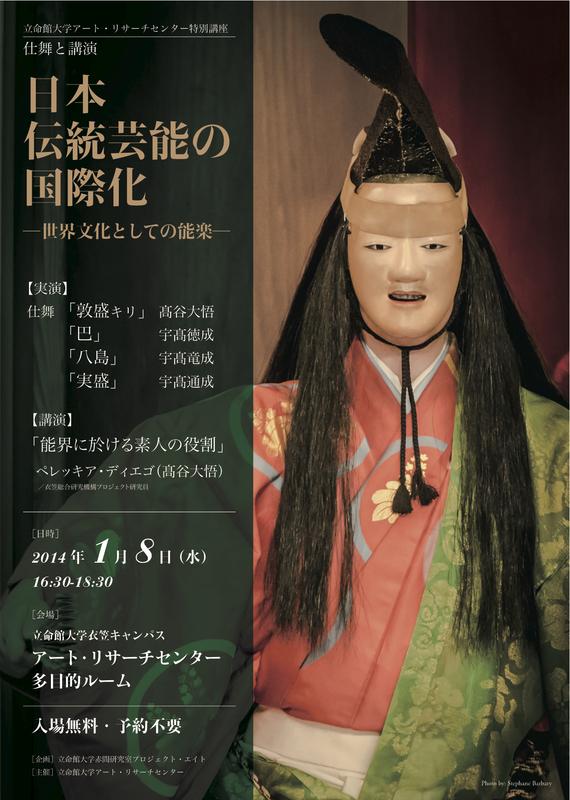 I saw this Noh performed by Ogamo Rebecca Teele in the recital to which I participated June 2010. 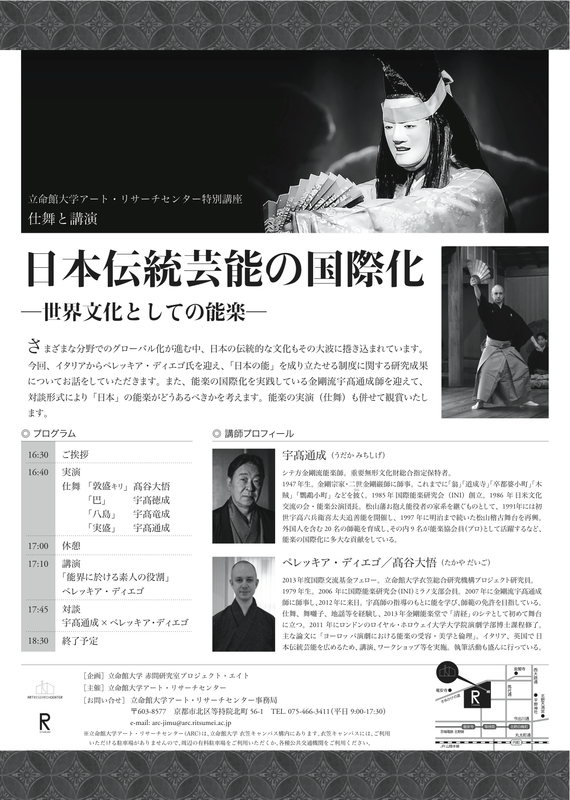 It is a very refined, delicate Noh, where all sounds and movements seem to be softened by the snow. Even the typical stomps of certain Noh dances are performed so that the feet softly touch the floor, producing no sound. Iori Co. also offers a unique designed program for experiencing the traditional culture of Japan. For cerebrating the first Project, there was Noh Drama performing collaborating with four Artists’ works of Art.